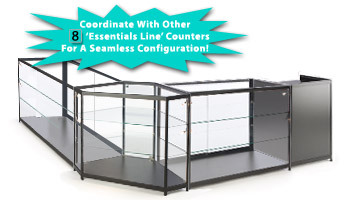 Corner counter features extra-vision design to display more products in less space! 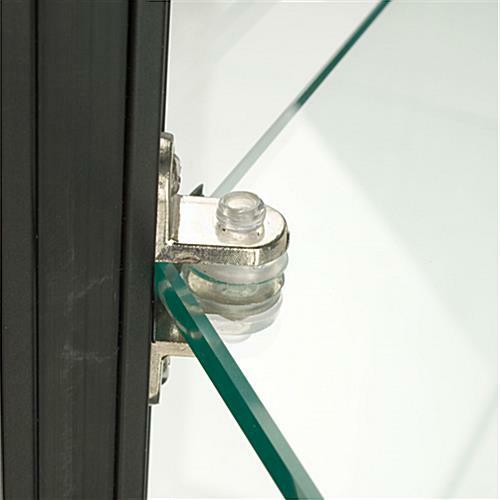 Tempered glass construction is safer than traditional glass! 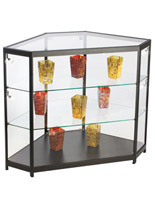 This corner cash counter is a perfect counter for jewelry or department stores, gift shops, museums, mall kiosks and more. 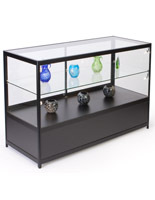 The cash counter, also known as a glass store counter, is perfect for displaying items like jewelry, fine collectibles, precious artifacts, souvenirs or even books, antiques and more. This cash counter offers everyday value to customers. 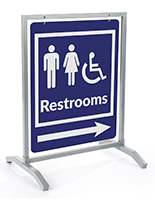 If you're not looking for the most expensive counter, but you need a retail store cash counter display that can stand up to everyday use and offers an array of bonus features, this could be the cash counter for you. 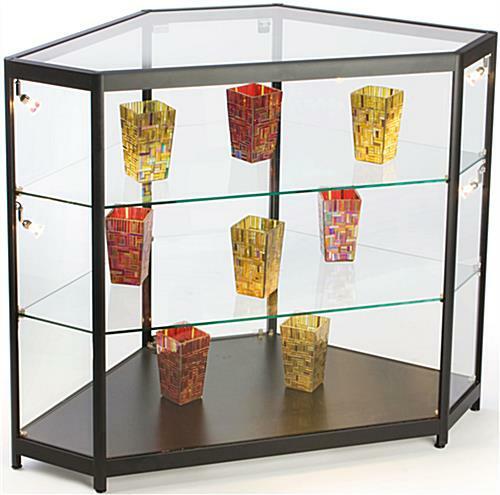 The corner cash wrap is a perfect transition piece in any retail store counter configuration. 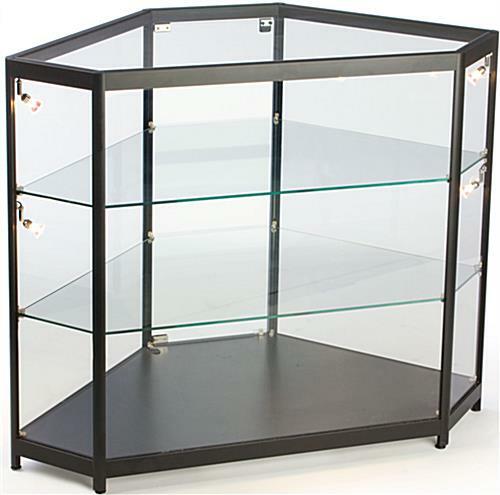 This retail store display, cash counter is crafted from tempered glass with aluminum extrusions and a black laminate base. 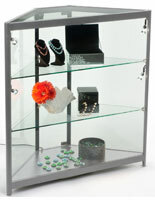 The cash wrap has many great features, like adjustable shelves, adjustable floor levelers, and a hinged locking door. 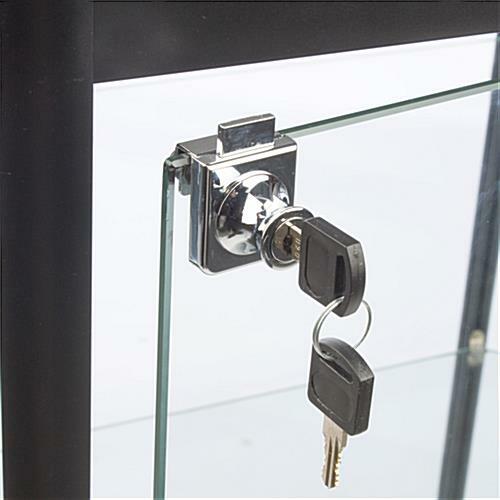 You can rest assured that your cash counter will always be stable, no matter what surface it is placed upon, and that your retail merchandise will always be safe within the counter. One of the biggest selling points of this cash counter is its lighting system. 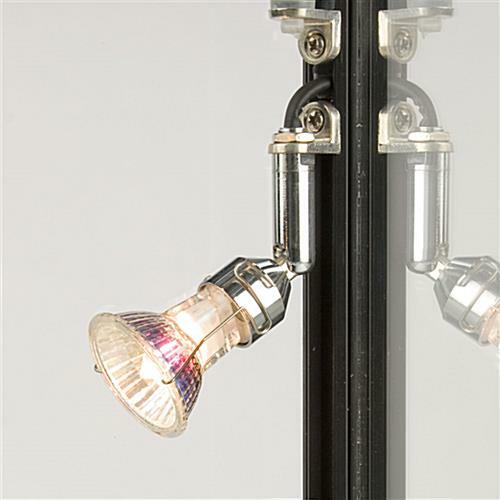 The cash counter features (4) positionable 20-watt halogen lights, brightly illuminating your displayed products. 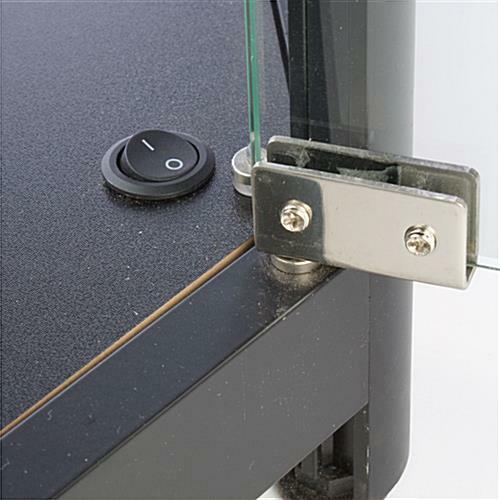 An easily accessible on/off switch is located just inside the cash counter. 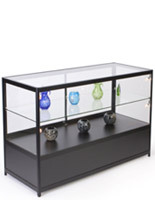 This is an extra vision showcase counter, with a 35" high glass display area. Ships fully assembled. 46.8" x 38.0" x 23.8"